Fantastic apartment - spotlessly clean. tea, coffee, sugar, milk & biscuits for a much needed cuppa on arrival. Even toiletries in the bathroom. Just a few minutes from main shopping area & Cathedral. Would definitely recommend. Clean modern apartment. Very well appointed. Couldn’t fault it. Lovely apartment with everything you could want, in a great location. Super comfy beds. 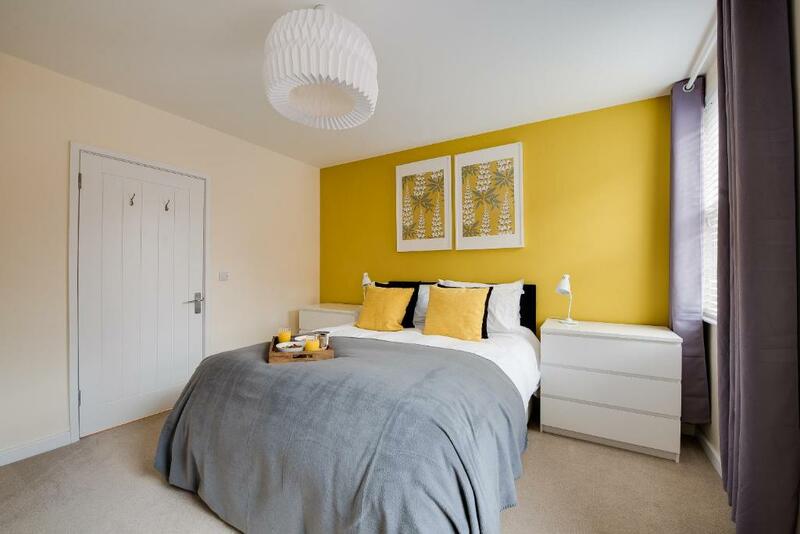 2 great sized double bedrooms. All furnished beautifully . Clean, bright, airy and central...shame we didn't have more time to enjoy the apartment. Beds were comfy and the bedding of good quality...would definitely stay there again. We were not expecting towels or lots of toilet paper but there was plenty of both. The hosts even provided milk and bathroom products and allowed us to extend our stay beyond the usual checking time while we waited for an event to take place at lunch time. Great central location within 200 yards of cathedral and shopping centre with useful central parking space. We had a ground floor apartment which was ideal for my disabled wife. All the facilities you need to self-cater if the nearby restaurants are not too great a pull. Good information provided. Lovely apartment. Clean and well appointed. I stayed in apt 1 on the ground floor. You walk straight into the living room/kitchen/dining area. Good size for this sort of thing. Bedrooms and bathroom behind. Good shower. Very central - you can see the Cathedral from the front door. Location was perfect. It was good to have a dedicated parking space too. It was really nice to find milk, tea, coffee, sugar and some yummy biscuits waiting for us. The flat was spotlessly clean and it helped to have a folder with booklets for instructions on how to operate the various appliances, and a good selection of brochures and maps for the local surroundings. All in all, a perfect stay! 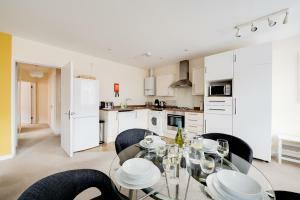 Lock in a great price for UK South Coast Apartments - rated 9.7 by recent guests. One of our bestsellers in Chichester! 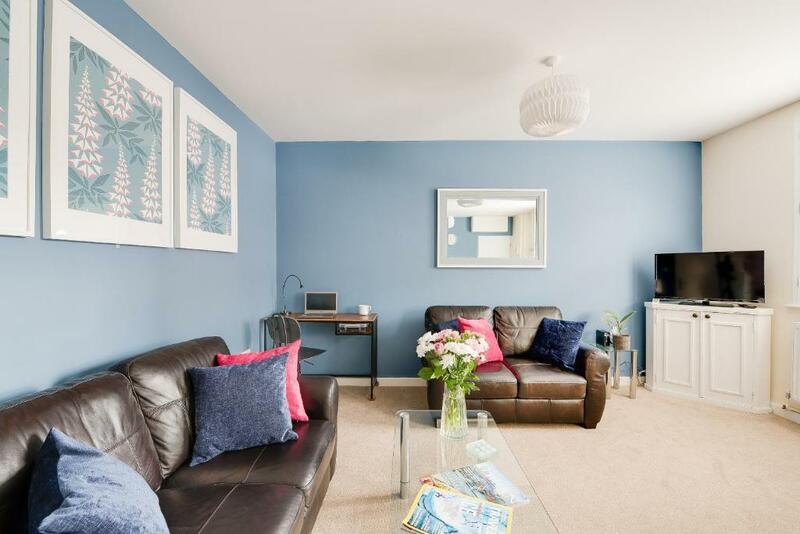 Situated in Chichester, UK South Coast Apartments offers accommodation with free WiFi and flat-screen TV. 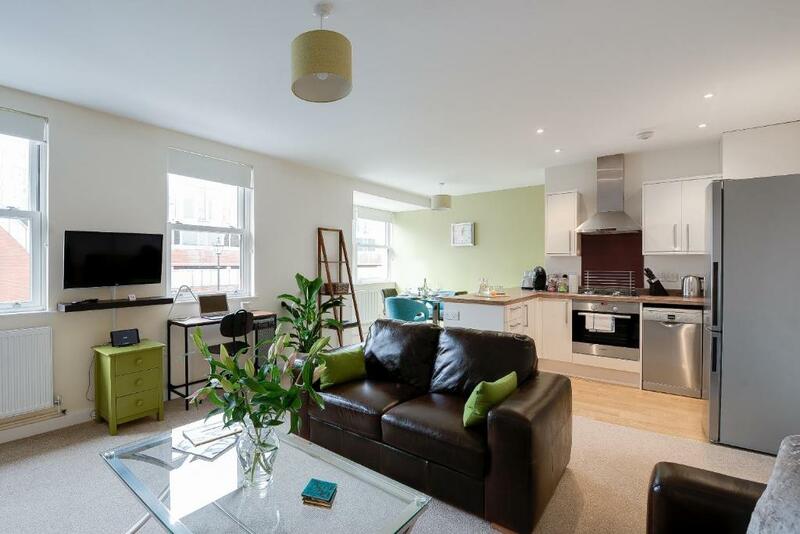 All units comprise a seating area with a sofa and a fully equipped kitchen with various cooking facilities, including an oven, a microwave and a toaster. A fridge and stovetop are also offered, as well as a coffee machine and a kettle. Popular points of interest near the apartment include Chichester Cathedral, Chichester Festival Theatre and Chichester Castle. The nearest airport is Southampton Airport, 32.3 miles from UK South Coast Apartments. This property also has one of the best-rated locations in Chichester! Guests are happier about it compared to other properties in the area. 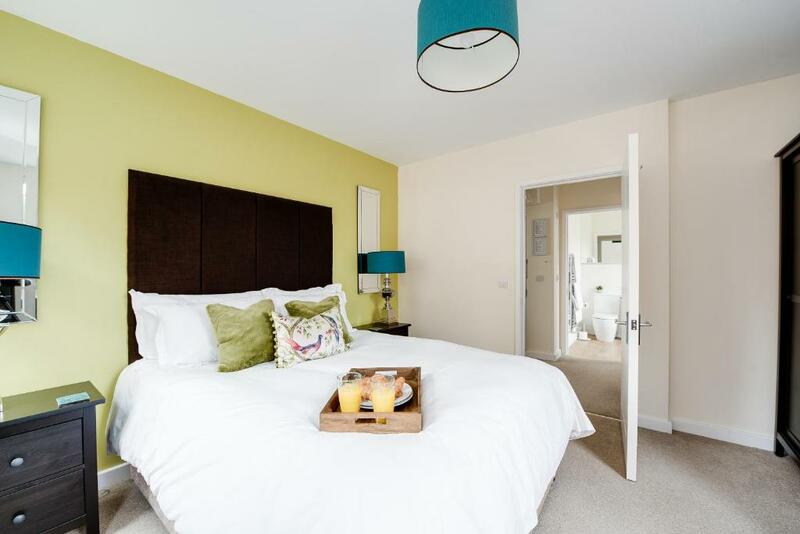 UK South Coast Apartments has been welcoming Booking.com guests since 1 Dec 2017. When would you like to stay at UK South Coast Apartments? This apartment has a dining area, microwave and private entrance. 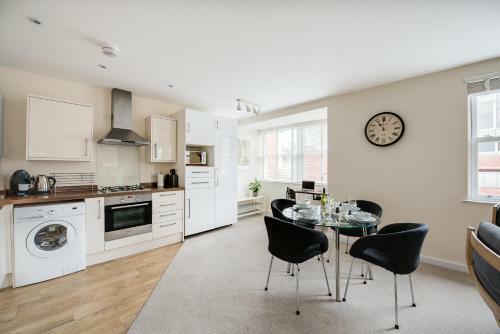 A modern, two bedroom, first floor apartment located in the heart of Chichester – within a ten second walk of the cathedral. 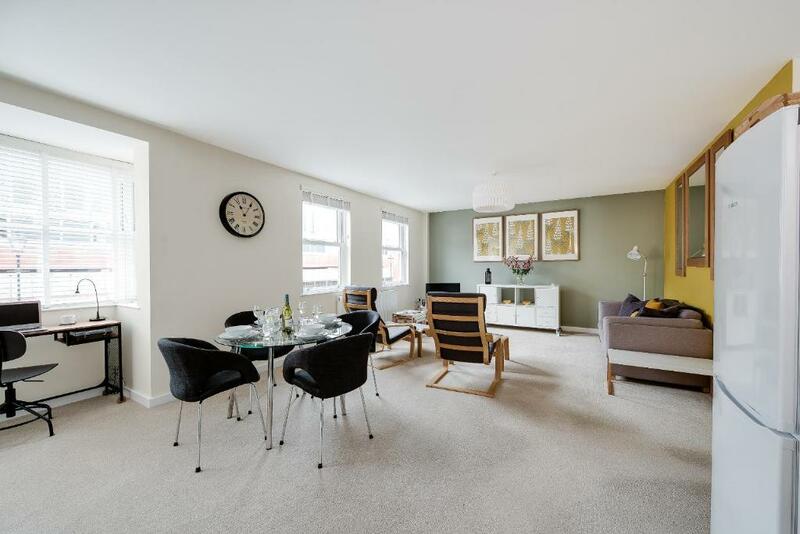 This is a brand new apartment, decorated in a contemporary style and equipped to an extremely high standard. The apartment also benefits from an allocated off street parking space. The larger bedroom features a king sized bed with a supremely comfortable pocket sprung mattress. The second bedroom features a standard double (4’ 6”) bed with the same high quality mattress. There is a delightful and spacious open plan living / kitchen / dining room. The apartment is equipped with a 36” TV with Freeview and Netflix. Free designated wireless internet access is also provided, in the nightly rate. The modern bathroom includes a bath with overhead shower. The modern kitchen is fully equipped with cooking facilities, including dishwasher and fridge freezer. The apartment provides a separate utilities room with a washing machine and clothes dryer. 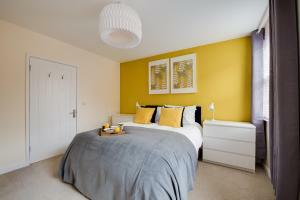 House rules UK South Coast Apartments takes special requests - add in the next step! UK South Coast Apartments accepts these cards and reserves the right to temporarily hold an amount prior to arrival. Please inform UK South Coast Apartments in advance of your expected arrival time. You can use the Special Requests box when booking, or contact the property directly with the contact details provided in your confirmation. Sofa bed not made up. The shower water was a bit chilly for my liking and hand help shower head could do with a really good clean. But this is only minor, the apartment overall was excellent and we were very happy with our stay. 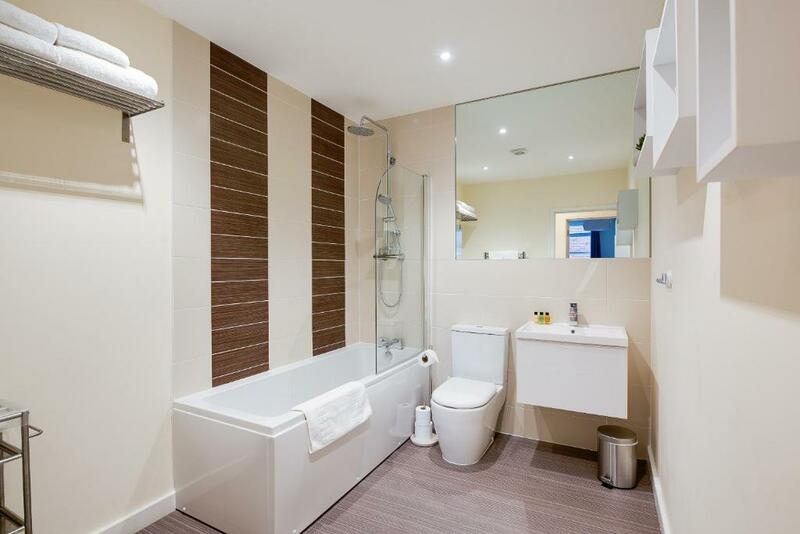 Superb apartment, had all the amenities you could want and was extremely clean. Very quiet city centre apartment. We would definitely stay again. there was nothing that I didn't like. A few improvements as a nice to have would be a showere enclosure as it's a large bathroom can get chilly over the bath. Maybe more tiles in the bathroom would be prettier. A light over the dressing tables for makeup . All just nice to have though. We had 2 cars so had to park the second in a pay and display....could have done with knowing how quickly the damage deposit was to have been refunded. The parking space to Apt 1 was quite difficult to access because of the height of the adjacent curb. However minor quibble. Facilities were generally excellent.